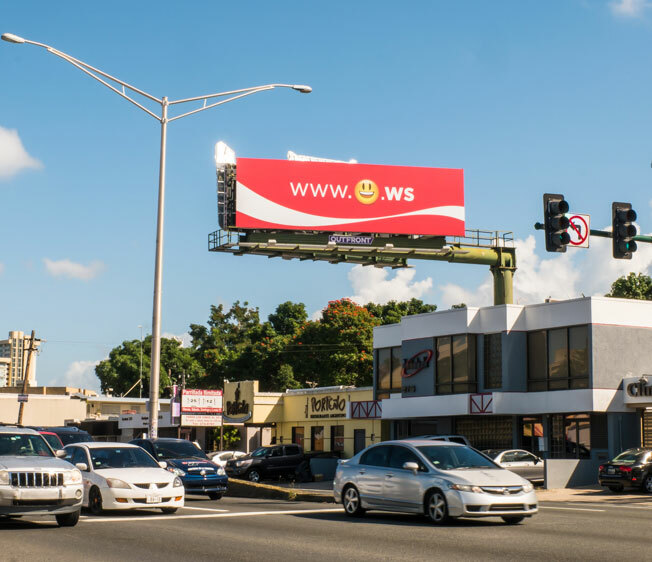 Coca-Cola hasn't had much luck making the Internet a happier place lately, but maybe this will help—a fun campaign from Coca-Cola Puerto Rico that puts smiley-face emojis right in the brand's Web addresses. The brand registered URLs for every emoji that conveys happiness. Entering any of these happy icons into a mobile Web browser, along with the .ws suffix, leads users to Coca-­Cola Puerto Rico's website. Why .ws, which is actually the domain suffix for Samoa? "Emojis are not accepted on domains such as .com, .net, and .org," DDB Puerto Rico says. "After doing some research on domains that do accept emojis, we opted to go with the .ws because the letters could stand for 'We smile' and hence seemed most relevant to the brand." For now, all the emoji URLs lead to a special landing page, Emoticoke.com, where consumers can sign up for a chance to get emoji Web addresses of their very own. The campaign is being supported by traditional media, including outdoor. "The vast majority of our audience now visits our website via a mobile device. And since emojis have become a kind of second language for Coke's younger consumers, we felt this was a great opportunity to connect on a deeper level with our most important demographic," says Alejandro Gómez, president of Coca-Cola Puerto Rico.